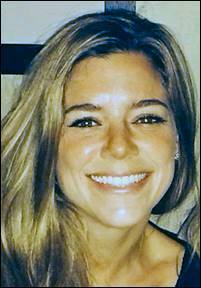 The City/County of San Francisco, a proclaimed “sanctuary,” is immune from liability to the parents of a woman who was fatally shot by an illegal alien who, upon release by sheriff’s deputies, would have been placed into custody by federal authorities had deputies not refused, pursuant to department policy, to accede to a detainer request, the Ninth U.S. Circuit Court of Appeals held yesterday. A memo issued by then-Sheriff Ross Mirkarimi on March 13, 2015 commanded that employees “shall not provide” to Immigration and Customs Enforcement (“ICE”) any “non-public” information concerning inmates including “release dates or times.” In implementing that policy, deputies ignored a March 27, 2015 request from ICE that Juan Francisco Lopez-Sanchez (AKA José Inez García Zárate), arrested on a drug charge, not be released until ICE could take custody of him. 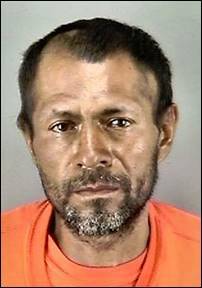 Sheriff’s deputies released Lopez-Sanchez on April 15, without notifying ICE, and on July 1, 2015, Lopez-Sanchez fatally shot Kathryn Steinle, 32, while she was walking along a pier. The shooting was cited by President Donald Trump, during his campaign, as pointing to a need for a crackdown on illegal immigration. Lopez-Sanchez had been deported five times from the United States. Yesterday’s opinion affirms a dismissal with prejudice of a negligence action brought by Steinle’s family members against the city/county. The case is Steinle v. City & County of San Francisco, 17-16283. Lopez-Sanchez’s defense in connection with the shooting of Steinle was that he had just found a gun and it discharged accidentally. A jury aquitted him of murder abd manslaughter but convicted him of being a felon in possession of a firearm.